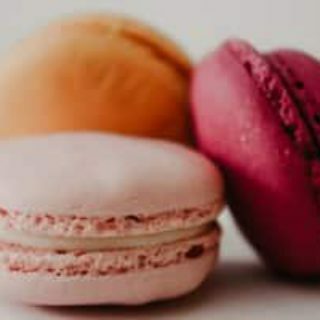 Although they appear to originate from Italy, macarons are a sweet treat which is always associated with France, and you will often see shops and stalls dedicated to these colourful little cakes. They are made from meringue and ground almonds, and can be enjoyed in many different flavours, such as raspberry, chocolate, pistachio, lemon and even pepper! Their delicate texture and rounded shape may seem difficult to produce, but they are actually fairy easy to make! Step 2: Sieve the icing sugar and ground almonds into a large mixing bowl. 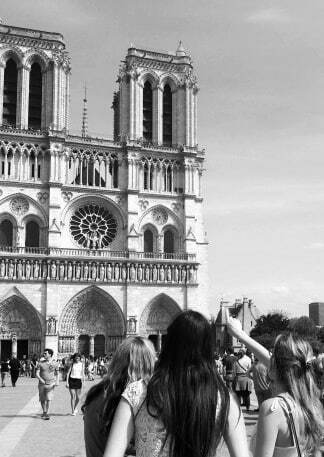 Throw any lumps left behind away. Mix the two together. Step 3: In a separate, clean bowl, add the salt to the egg whites and whisk whisk until they form soft peaks. Add the caster sugar slowly and continue to whisk until the whites are very thick and glossy (you should be able to hold the bowl upside down without the mix falling out!) Gently stir in the icing sugar and almond mix. Step 4: Using a piping bag with a 1 cm nozzle, fill with the macaron mixture. Place some greaseproof paper onto a baking sheet. Pipe 24 small identical-sized blobs onto the sheet. 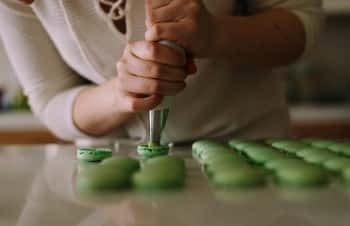 Gently tap the baking sheet a few times on the work surface to break any air bubbles, then leave to dry for 20 minutes – the surface of the macaron should become smooth and shiny. Step 5: Bake the macarons in the oven for 7 to 8 minutes, then open the oven door to release any steam. Close the door and cook for a further 7 to 8 minutes. 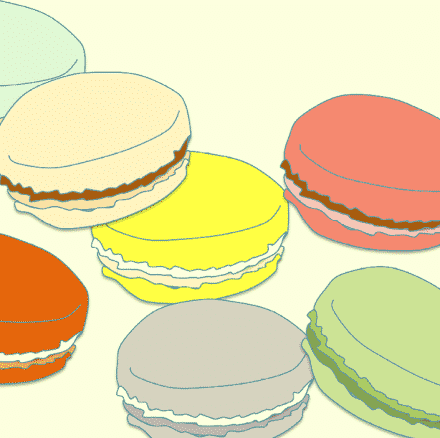 The macarons are cooked when they feel firm and are slightly risen. Step 6: Slide the greaseproof paper onto a wire cooling rack and leave to cool to avoid breakage. Step 1: Beat the softened butter, then gradually beat in the icing sugar. At this point you can add in any colours or flavorings. Step 2: Place approximately half a teaspoon of the filling to the flat side of one macaron and sandwich together with another then twist them slightly so they stick. Continue with the remaining macarons. Step 3: The macarons can be eaten immediately, but it’s a good idea to put them in the fridge for 24 hours as this will make them even more chewy and tasty.